Buenas yan Håfa Adai! 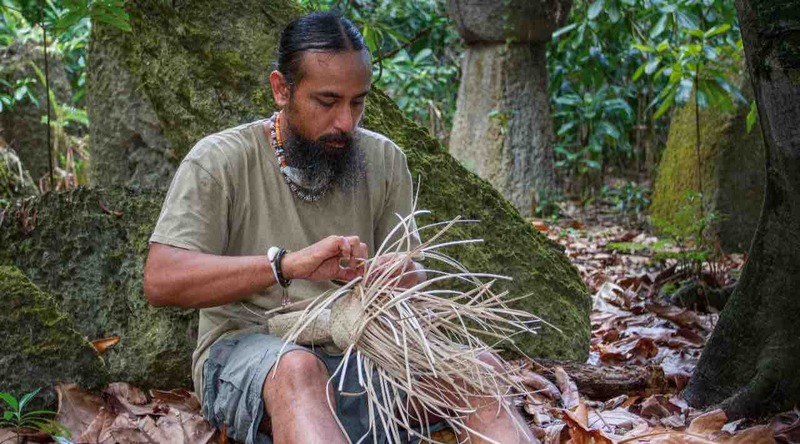 For the last 23 years, after learning to weave from my elders, I have protected, promoted, and perpetuated the ancient, long lived art of Chamoru weaving. I have taught our weaving tradition to numerous youth and adults through various workshops and classes, as well as having several apprentices under my training. I have recently been selected and asked to exhibit my work in an art exhibition overseas, The Honolulu Biennial 2019. This exhibition is the second iteration of the Honolulu Biennial. The funds that I'm raising will go toward the film/documentation of this once-in-a-lifetime opportunity and to cover moderate travel expenses outside of lodging and airfare. While I create new pieces to display...items not yet seen, not yet imagined, and new to the Marianas -- I will share the experience via livestream and will put together a film and photo compilation to share on youtube following the trip. My mind races with images of hands flying across bundles of leaves, designing new creations made with the techniques my ancestors developed, and then recombining them into new shapes and visions. I would greatly appreciate your assistance with my campaign and hope that you will enjoy following my journey across our ocean to learn, share, and weave together the traditions and ways of our Oceania peoples. Si Yu'us Ma'åse! What is the Honolulu Biennial? “The curatorial approach for To Make Wrong / Right / Now is related to Kalahele’s “Manifesto” and ideas pulled from the ʻaha—a single sennit cord made of many strands that can be gathered together with a series of knots to form a networked carrier. Thematic strands will be borne by the artists and bound together by a sense of genealogical reckoning (acknowledging the cord connecting past and future generations), indigenous knowledge, non-Western technologies of land use, creativity, materiality and awareness, decolonizing spirits, mana wahine (female empowerment), ancient histories and mythologies knotted with contemporary conditions, and reverence for wahi pana (storied places). The curatorial approach doesn't presume all of the kaona (meanings hidden out in the open) of ‘aha, but is the beginning of making a Biennial of, for and by this place by recognizing it as a unique opportunity to gather, remember, share, learn and move forward together in this place. Si Yu’os Må’åse’ everyone for your help towards my fundraising goal! Through your generosity we’ve reached 48% of my goal! Nearly halfway in under two months! Si Yu’os Må’åse’ and thank you! Hafa Adai! If you’ve donated and would like to receive email notifications when I upload videos to YouTube please send me an email to jamesbamba@gmail.com and I’ll add you to the email distribution. Si Yu’os Må’åse’ and thank you for your support so far! Hafa Adai todu hamyo! Si Yu’os Må’åse’ nu i ayudun-miyu på’go ya Hu agradedesi todu i suppoten-miyu lokkue’! Thank you for your help and I appreciate your support as well. 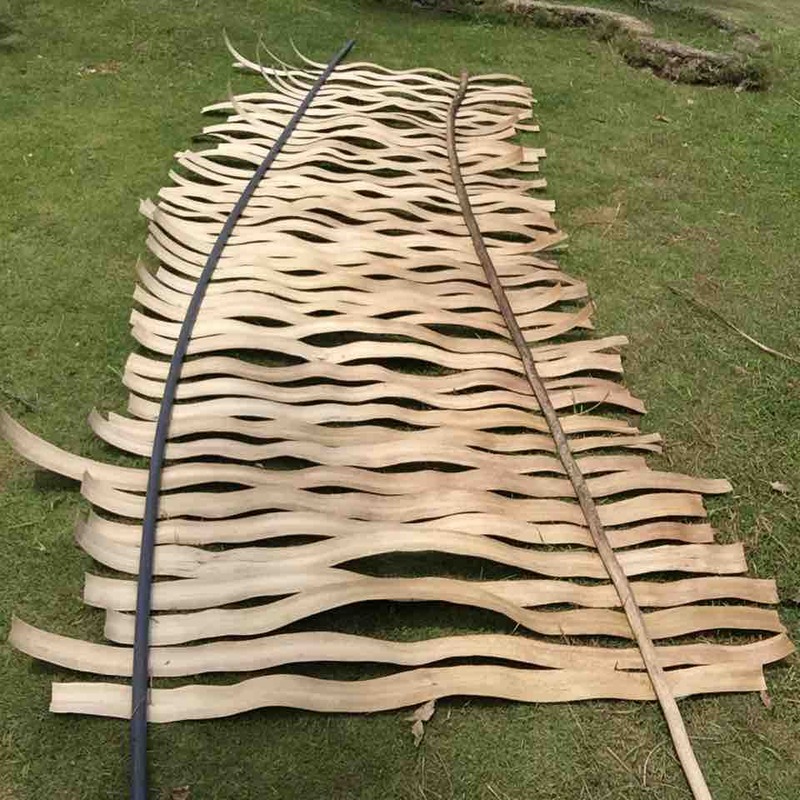 We have completed the first month of our fundraising efforts to assist with the documentation of my journey to Hawai’i to exhibit my weaving there. I’ve already started discussing with the curators the collection I’ll be displaying. For those that have given of your generosity I’ll be posting exclusive videos of the journey via FB live in a group I’ll be adding you to (you may opt out ;) ) and on my YouTube channel (hopefully). Please stay tuned! Si Yu’os Må’åse’ and thank you once again! Hafa adai everyone! Si Yu’os Må’åse’ for your help in my campaign and through everyone’s generosity we hit 10% of our goal in the first week and we are at 20% and the week #2 is not over yet. Thank you all for your help in documenting this once in a lifetime opportunity! You will get my undying gratitude and a thank you card.